Mindfulness is simply focusing your awareness on the present moment. You can be mindful of your thoughts, feelings, bodily sensations or your surrounding. Mindfulness is used in both spirituality and psychology. However, it has its roots in the Eastern Buddhist religion. The list below consists of mindfulness books that are based on spirituality and Buddhist teachings. Most mindfulness spiritual books suggest that we are the observer, not the mind. They usually focus on our connection with a higher power (something bigger than us) and encourages us to be more appreciative of life. If you want to learn mindfulness as a therapeutic technique, read this post instead. If not, find a book below that speaks to your soul. Why don’t we love ourselves? The culprit is the mind. 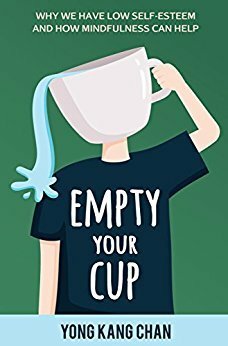 Throughout this book, the cup is used as an analogy for the mind. And there are seven stages that the mind goes through. This book has a mix of both psychology and spirituality. Reading this book will help you understand why and how our minds became our obstacles for self-compassion and spiritual awakening. In this book, you will also learn how mindfulness can help us remember our spiritual self and our role as an observer. If you are looking for a simple book that helps you be present and love yourself, this is the book for you. Written by a Vietnamese Zen Buddhist monk, this book encourages us to live fully every day. It shows us how to be there for ourselves and our loved ones. Reading the book will make you feel peaceful and grounded. The book doesn’t engage your mind. Instead, it is simply and beautifully written yet profound. If you want to learn how to live one day at a time, this book is great for you. The author provides you simple practices that you can add to your daily life to cultivate mindfulness. This book is more suitable for people who are open to different religions. Although the author mainly uses Buddhist teachings in this book, his occasional use of words such as “Kingdom of God” might offend some readers. Being one of the bestselling guides to spiritual enlightenment, this book teaches you how to be present and aware. But you won’t find the word “mindfulness” in this book because the author feels that the word focuses too much on the mind. The book is written in a Q&A format. The author uses examples from our daily life instead of unrelatable spiritual terms to explain his insights, so it’s easy to understand and suitable for anyone who is new to spirituality. This book also shows you how your mind gets caught up in the past and future, and how this makes you suffer as a result. If you have a noisy mind that keeps you from staying present, this is the recommended book for you. The focus of this book is on Vipassana meditation (also known as insight meditation). In Vipassana meditation, you cultivate two mental qualities — awareness and concentration. Both are needed for meditation even though the author mentions that mindfulness is the more important of the two as it directs the power of concentration. Written by a Sri Lankan Theravada Buddhist monk, this book provides you a practical, guided way of developing mindfulness through meditation. If you are a beginner to meditation or find it confusing, this book is for you. This book will show you clearly how to deal with distractions when meditating, what to do with your body and mind, where to sit, and more. All of the above agreements require you to be mindful and you get to learn how to do that in this book. Based on ancient Toltec wisdom, this small yet insightful book will help you be more aware of your negative thoughts and unhealthy, habitual reactions. In this book, the authors introduce yet another agreement: Be skeptical but learn to listen. Even though there is no mention of the word “mindfulness” again in this book, this new agreement is basically what mindfulness is about. To be mindful, you have to be open and listen to whatever that arises at the moment. But you don’t believe all your thoughts and conclude immediately because your thoughts are based on past conditioning. If you want a deeper sense of awareness, this book is for you. The teachings in this book make a lot of sense and are very easy to understand. It will also help you be in touch with your authentic self. This book covers the four foundations of mindfulness. It teaches you how to be mindful of your body, thoughts, emotions, and dhammas. 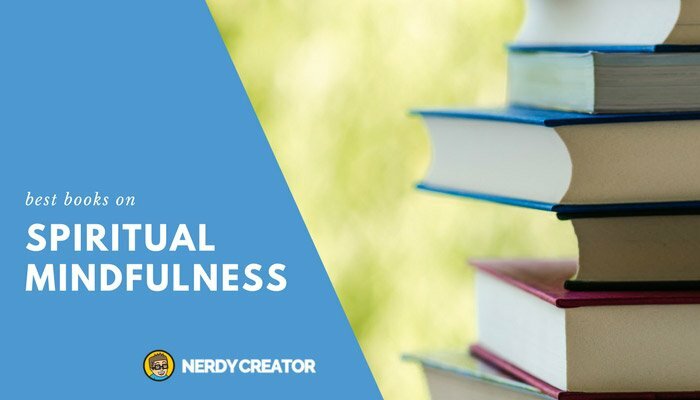 Unlike the other books on this list, it offers more than mindfulness. In this book, the author also analyzes the Satipatthana Sutta in depth, an important Buddhism discourse on mindfulness and follows its format. The Buddha has different instructions for people with different temperaments to help them understand mindfulness. Most of the chapters in this book are complete in itself. So you can jump ahead to the chapter that interests you the most. This book is more suitable for readers who can follow the traditional language and Buddhist terms. If you want to explore the roots of mindfulness while learning how to be mindful, then this book will be great for you. As the title suggests, this book also focuses on the four foundations of mindfulness. But unlike the book by Joseph Goldstein, this book pays less attention to interpreting the sutra. Instead, the author writes about the underlying principles of mindfulness practices in a clear, approachable, and easy to understand manner. Also, compared to his other book, Mindfulness in Plain English, you might find this book less practical as it doesn’t center around mindfulness meditation. However, this book is equally valuable because you can learn a lot about mindfulness from the Buddha’s teachings. It’s not always about the doing, it’s also about the understanding. If you are new to mindfulness and Buddhism but don’t care too much about the history, then this book is great for you. Peace is right here, right now. The question is do we see it and are we in touch with it. Another great book by the Zen Master Thich Nhat Hanh, this book reminds us to live in this present moment and appreciate the simple things in life. Happiness is everywhere. The air we breathe can be a source of joy. Taking a walk can be pleasant and calming for the soul. Even the blue sky can be beautiful if we pause and admire its beauty. If you are someone who leads a busy life and is looking for ways to live mindfully, this is the book for you. It will bring you back to peace and help you find joy in the mundane. Mindfulness isn’t about sitting down all day and doing nothing. If you want something that is grounded in spirituality but hands-on and actionable, this book is for you. Written by an American Zen Master, this book gives you 53 simple practices to help you cultivate mindfulness in your daily life. The author also has a humorous and honest writing style. Reading the short, funny stories in this book will make you laugh. You can read the book one chapter a week and implement the new exercises gradually. It will help you change your life one step at a time. This New York Times bestseller has one of the best explanations for who we are. Without using any religious references, the author will show you the differences between the voice inside your head and the observer (i.e. your true spiritual self). If you want to free your mind from inner chatter or new to spirituality, this is the book to read. His explanations and analogies are so clear and relatable that anyone can follow. In this book, you will also learn how to be mindful of your thoughts and emotions, and free yourself from them. Get this book if you want to be more in touch and aware of your spiritual self.